Impress visitors with a VersaWall System backlit trade show display that portays your company as an industry leader. Promote your brand on graphic walls built with our exclusive VersaWall frames that accommodate both SEG dye sub and rigid panels. VersaWall frames can be reconfigured to accomplish a wide variety of designs because they are equipped for single and double sided applications and can be backlit. Frames knock down to pack compactly to lower your freight, drayage and storage or as pre-assembled frames to save on I&D labor. Made in America, your investment is protected against manufacturing and materials defects for a lifetime. 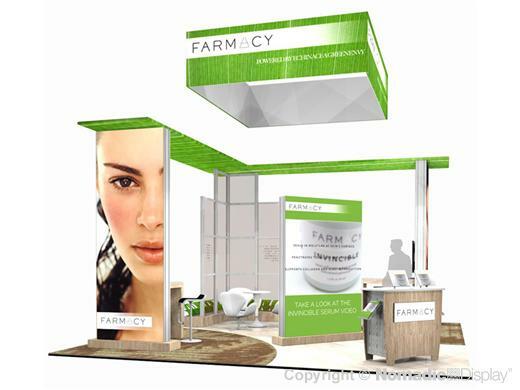 This spacious trade show booth offers multiple integrated interactive workstations, open seating area, backlit graphics for maximum impact, media holders for tablets or literature, overhead hanging structure and dimensional graphic signage.